Become a Purple Member Today! Purple. Your one stop shop to all your organisations disability-related issues. Purple is currently supporting over 50 organisations – from across all sectors and of all sizes – on their disability journey. per year to UK businesses. The current estimated spending power of disabled people and their household continues to increase and only 10% of UK business have a targeted strategy for this huge market. is the number of disabled people in 2017, increasing from 11.9 million (2014). of disabled people and their families have walked away from a UK business because of poor accessibility or customer service. 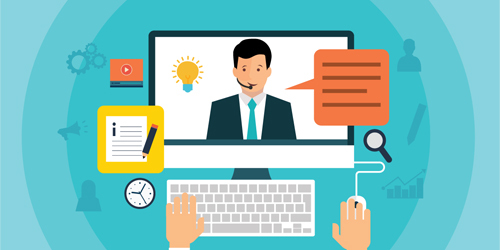 of the UK workforce have been formally diagnosed with a mental health issue. of staff felt able to disclose a mental health issue to their workplace. disabled online shoppers who click away from inaccessible websites have a combined spending power of £11.75 billion per year in the UK. You can download for free, copies of Purple’s Infographics which sets out the business case for support here. From as little as £299 per year, why doesn’t your organisation become a Purple Member. For further details, including the direct benefits and fees go here. 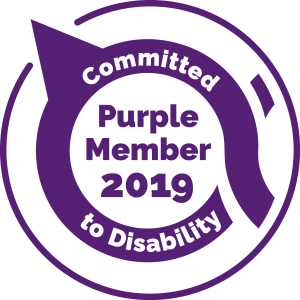 If you have already started your disability journey but there is so much more you want to do, consider becoming a Purple Partner to draw on the widest experience and expertise of Purple staff. For further details, including the direct benefits and fees, go here. For information and fees about all Purple’s other products and services, go here.